Sir Arthur Conan Doyle was born on 22 May 1859 in Edinburgh. He studied medicine at the University of Edinburgh and began to write stories while he was a student.Over his life he produced more than thirty books, 150 short stories, poems, plays and essays across a wide range of genres. His most famous creation is the detective Sherlock Holmes, who he introduced in his first novel A Study in Scarlet (1887). This was followed in 1889 by an historical novel, Micah Clarke. In 1893 Conan Doyle published 'The Final Problem' in which he killed off his famous detective so that he could turn his attention more towards historical fiction. However Holmes was so popular that Conan Doyle eventually relented and published The Hound of the Baskervilles in 1901. The events of the The Hound of the Baskervilles are set before those of 'The Final Problem' but in 1903 new Sherlock Holmes stories began to appear that revealed that the detective had not died after all. He was finally retired in 1927. Sir Arthur Conan Doyle died on 7 July 1930. 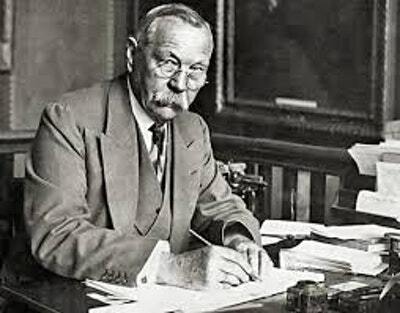 Arthur Conan Doyle was born on 22 May 1859 in Edinburgh into a prosperous Irish family. He trained as a doctor, gaining his degree from Edinburgh University in 1881. He worked as a surgeon on a whaling boat and also as a medical officer on a steamer travelling between Liverpool and West Africa. He then settled in Portsmouth on the English south coast and divided his time between medicine and writing. Sherlock Holmes made his first appearance in A Study of Scarlet, published in 'Beeton's Christmas Annual' in 1887. Its success encouraged Conan Doyle to write more stories involving Holmes but, in 1893, Conan Doyle killed off Holmes, hoping to concentrate on more serious writing. A public outcry later made him resurrect Holmes. 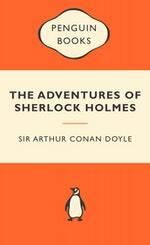 In addition, Conan Doyle wrote a number of other novels, including The Lost World and various non-fictional works. These included a pamphlet justifying Britain's involvement in the Boer War, for which he was knighted and histories of the Boer War and World War One, in which his son, brother and two of his nephews were killed. Conan Doyle also twice ran unsuccessfully for parliament. In later life he became very interested in spiritualism. Conan Doyle died of a heart attack on 7 July 1930. Be the first to find out about Arthur Conan Doyle.